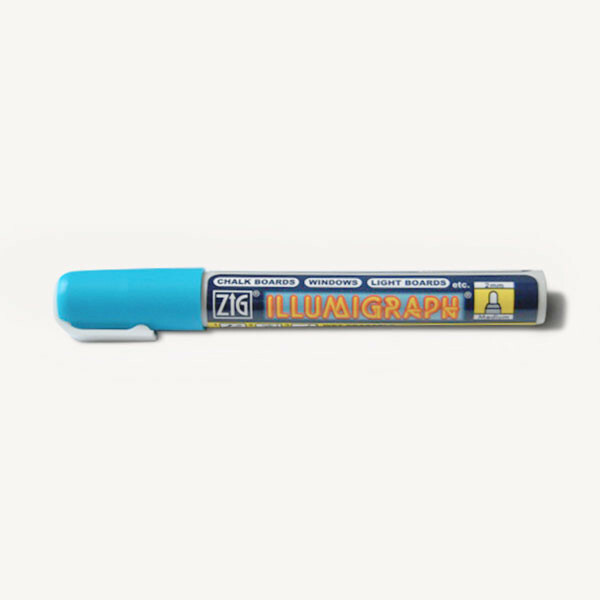 This blue liquid chalk marker is perfect to to write on slate (chalk labels and wall chalk stickers). Text can be erased using a damp sponge without leaving any marks. 4 vibrant colours are available : White, Green, Yellow, Pink.